Enter the world of the internationally bestselling Iron Fey series. Dangerous faeries. Heartbreaking romance. Thrilling action and limitless adventure. The world of the fey has never been so powerful. This collection includes three novellas set in the world of the Iron Fey plus the Guide to the Iron Fey with exclusive information about Julie Kagawa's unforgettable world of Faery. 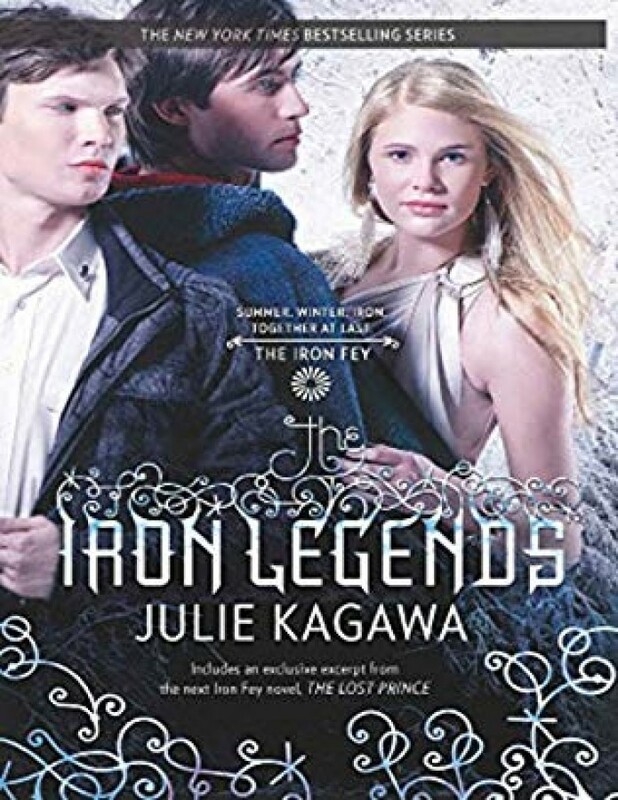 Julie Kagawa's bestselling series The Iron Fey captivated the imagination—and hearts—of readers of all ages with its mix of magic, fantasy and romance. Enjoy this special bridge novella, which takes place between The Iron King and The Iron Daughter. Meghan Chase used to be an ordinary girl.. until she discovered that she is really a faery princess. After escaping from the clutches of the deadly Iron Fey, Meghan must follow through on her promise to return to the equally dangerous Winter Court with her forbidden love, Prince Ash. But first, Meghan has one request: that they visit Puck—Meghan's best friend and servant of her father, King Oberon—who was gravely injured defending Meghan from the Iron Fey. Yet Meghan and Ash's detour does not go unnoticed. They have caught the attention of an ancient, powerful hunter—a foe that even Ash may not be able to defeat..
Julie Kagawa's bestselling series The Iron Fey captivated the imagination—and hearts—of readers of all ages with its mix of magic, fantasy and romance. Now, readers can enjoy a special novella from one of Julie's most beloved characters, Puck! Robin Goodfellow. Puck. Summer Court prankster, King Oberon's right hand, bane of many a faery queen's existence—and secret friend to Prince Ash of the Winter Court. Until one girl's death came between them, and another girl stole both their hearts. Now Ash has granted one favor too many and someone's come to collect, forcing the prince to a place he cannot go without Puck's help—into the heart of the Summer Court. Puck faces the ultimate choice—betray Ash and possibly win the girl they both love, or help his former friend turned bitter enemy pull off a deception that no true faery prankster could possibly resist. Meghan Chase is finally getting used to being the Iron Queen, ruler of the Iron Fey. Her life may be strange, but with former Winter prince Ash by her side at last, she wouldn't have it any other way. But when they travel to the Summer and Winter courts' gathering for Elysium, the oracle from Meghan's past returns with a dire prophecy: "What you carry will either unite the courts, or it will destroy them." Now Meghan faces a devastating choice that may determine the future of all fey—and her and Ash's unborn child..